As Executive Search Consultants, we work with a broad range of clients both across the UK but also internationally. We work on a lot of 'hard to fill' senior roles and I must admit that the location of our client's office has historically made the recruitment process either easier or a lot harder. The maturer leadership candidates have been to the city centre offices that allow teams to social together after work and provide a buzz each morning as they participate in the commuting culture on public transport. They have also likely held roles required to be located in an out of town office requiring daily commutes by cars and the usual motorway snarl-ups that cause so much angst and see hours of our working days disappear and never to return. In recent years, more and more of our clients are providing more flexible workplace solutions that allow their employees to work from home, but provide an office hub that can be commuted to when they want the team to be together or to give employees an opportunity to be part of a team. I do think there needs to be a good reason why employees have to be based 5 days a week in an office. There are certain roles that require an office base but if you truly want to attract the best talent and not limit your options then you really do need to get over candidates having to be office based. We have also started flexible working at Collingwood and it is not all a bed of roses. For flexible and remote working to work, you need to have a team that believes in it, understands it, relishes it and goes the extra mile to ensure it is a success. Keeping a remote team engaged and feeling like a team is hard and requires great communication but everyone has to make an effort. Creating a more flexible workplace will definitely provide you with a larger talent pool - but make sure you employ individuals who believe in it. 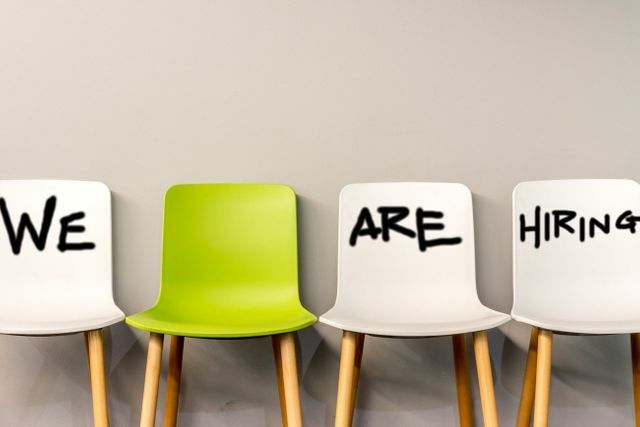 Michelle Hubble, who's vice president of employment brand and recruitment marketing for the healthcare recruiting agency, deeply believes in widening her candidate search to find the best talent for her company. Of course she understands the difficulty candidates and their families face in transitioning and relocating. But she strives to help candidates get past any reservations by having candidates complete an online self-assessment. This helps her team understand candidates' work styles and show them that the company is sincerely invested in their success. "It's quantifiable, and the scoring can be customized," Hubble told me of the assessment process. "For some candidates, this can be a turn-off; it takes time and thoughtfulness."